Secret tensions and fractious relationships come to the fore when the assistant director of Dayspring Counseling Center is found murdered in her office. Detective Cameron Ballack and his Special Investigative Division team discover that this arena of soul care is a dangerous and deadly place, and the pool of suspects is deep and wide. In the midst of their pursuit of justice, each member of the detective team find their own personal lives are targets of shock and disarray. Will Ballack find a way to rally his squad in their combined distress, or will the killer strike them in an unexpected and final fashion? 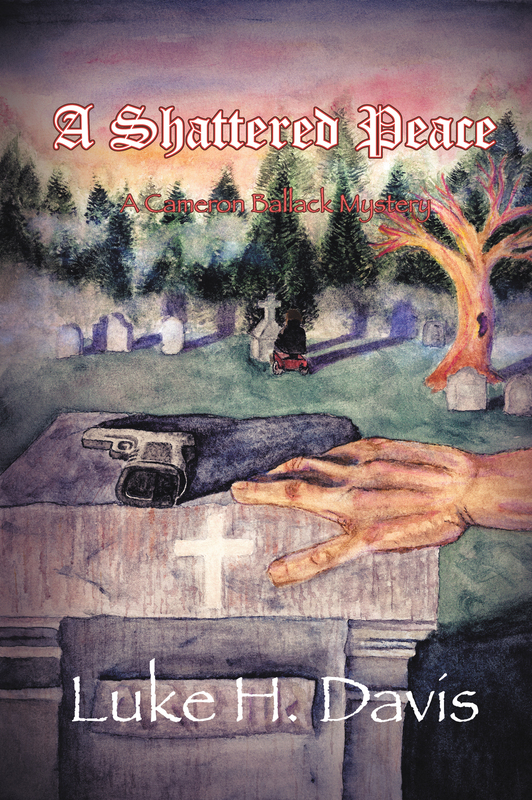 LUKE HERRON DAVIS is the author of the Cameron Ballack Mystery series, of which A Shattered Peace is the third volume. He is a Kansas native now in his nineteenth year of teaching. Luke has taught in the ethics and religion departments in private schools in Louisiana, Virginia, Florida, and Missouri. Presently, he teaches Ethics and Church History while serving as the Bible department chairman at Westminster Christian Academy in St. Louis. Luke lives in nearby Saint Charles, Missouri, with his wife Christy, son Joshua, daughter Lindsay, and their retriever Gretel.